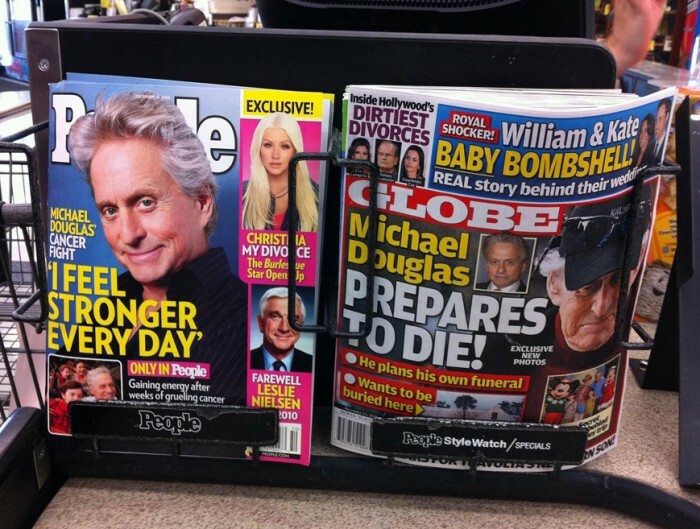 Who’s Michael Douglas and why should I care either way? No one and no reason. His dad is pretty cool though. Hes one of those actor people in California who doesnt know whether to live or die. youre kidding. i just saw this in 711 and took a picture. i was going to upload it. i hate you ian.